Hello gents and ladies, to you readers on the other end of the computer I just want to say thanks for reading. 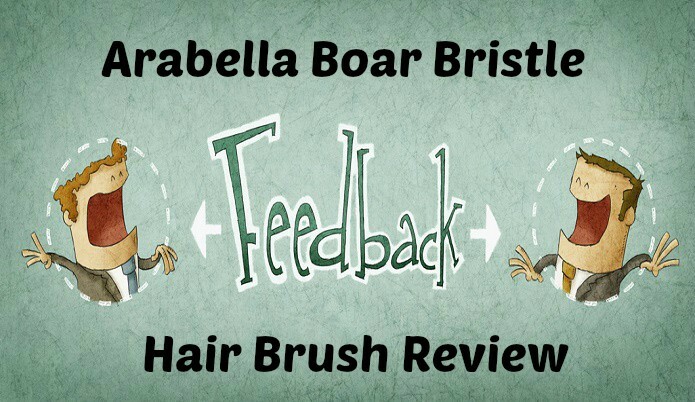 In this article I have the pleasure of reviewing the boar bristle hair brush from Arabella Brushes! On this site we talk a lot about different hair styles and the process of growing it out but one thing a lot of people over look (especially us men) is the tools that we should take advantage of to help get our hair the way we want it. Through pretty much my entire life my “hair brush” was just running my hand through my hair. I really didn’t think nothing of it but when I started to get longer hair then the hand through the hair wasn’t quite cutting it for me. This is where I started looking into some different combs and hair brushes which surprised me because I didn’t realize there was so many different types. 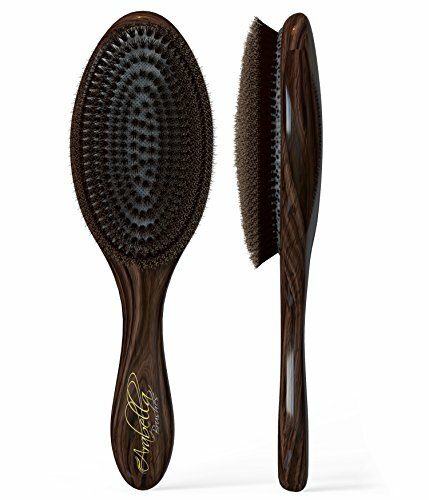 Well one of those hair brushes that I tried was the boar bristle hair brush made by Arabella so I decided to cover a review for it. Let’s kick it off with the good things about it. Great weight, not to light but just heavy enough. Goes through tangles fairly well. To elaborate on the mentioned above. The weight of it isn’t a huge deal but I like that it wasn’t to light, this gave it a more premium type of hair brush feel to it. I usually don’t have much in terms of tangles in my hair but my daughter has used it who is nothing but tangles and it actually went through them much easier than I would have thought. I’ve had zero issues with any bristles breaking/falling out. The price you simply can’t beat, especially with the life span of the hair brush. Bristles softer than I would like. Had weird smell to it for awhile. The bristles are softer than I imagined they would be which is fine but just running the brush over my hair didn’t get in there like I expected. I had to apply a little more pressure to get it into my hair better. This wasn’t a big deal once I got use to it. Had a weird smell when I first got it, a gluey type of smell. This was gone after about a week or two of using it. I think I sprayed some cologne on it at one point which might of taken care of it (can’t exactly remember what I did). Overall for the price of this brush I will say that this is a heck of a deal and I would even buy this brush every year for that amount. This is the brush I’m currently using but I’m always trying out others just to test them out.